Kevin Pietersen announced yesterday that he is retiring from all international limited-overs cricket, with immediate effect. At least, he has voluntarily retired from one format – ODIs – and been forced into retirement from T20s, due to an ECB contractual obligation that stipulates he be available for selection for both or neither. “The terms of the central contract state that any player making himself unavailable for either of the one-day formats automatically rules himself out of consideration for both formats of the game as planning for both formats is closely linked. Interestingly, the statement also includes this comment from Pietersen: “For the record, were the selection criteria not in place, I would have readily played for England in the upcoming World Twenty20.” Sky Sports News also reported that Pietersen’s management has expressed the desire for some compromise to be found, a way in which Pietersen could be given a “special contract” for the World T20, as he is very keen to take part in the tournament, which starts in September. The ECB are unlikely to budge on this. The message they seem to be sending out is that you cannot pick and choose; that you cannot cut your England cloth to suit yourself. I have several problems with this. I cannot escape the suspicion that this isn’t a stance taken purely from a position of principle, but that it also contains an element of the personal. For one thing, the inflexibility of the ECB’s position seems at odds with the latitude afforded other players, notably Andrew Strauss – who could not only pick and choose his formats (retiring from T20s while still playing in ODIs) but also which Test series he played in, when he was rested from England’s tour of Bangladesh in 2010. Similarly, the ECB’s comment on the “closely linked” nature of ODIs and T20s doesn’t really wash when you consider the different selections made for the two sides, including, in 2010, the use of “T20 specialist” Michael Lumb. 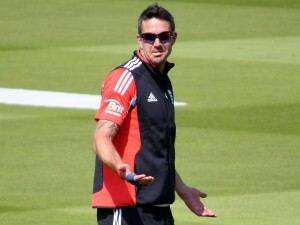 Pietersen has long had an uneasy relationship with the England management, ever since his falling out with Peter Moores. Yesterday’s announcement came at the end of a particularly eventful couple of weeks for KP. 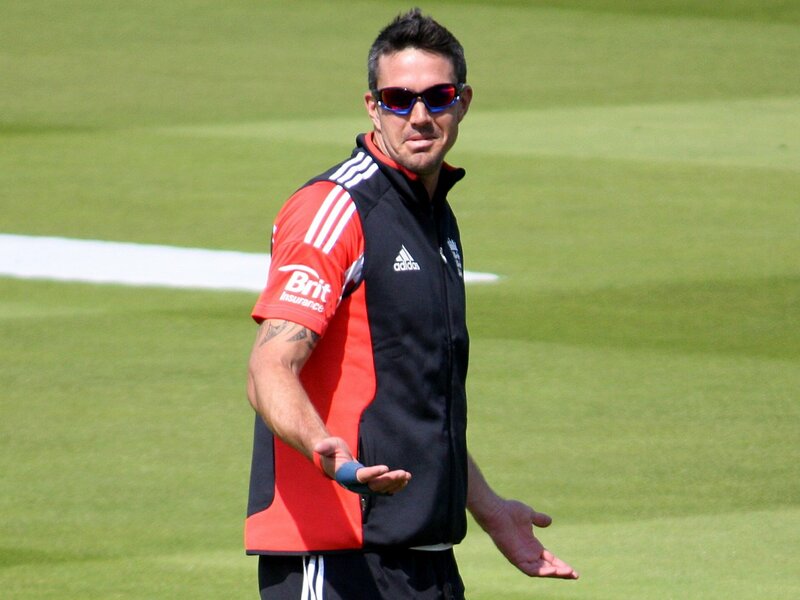 According to the ECB, Pietersen “discussed his position” with the board during the recent Test at Lord’s. On the Wednesday following the Test he attended a disciplinary meeting which resulted in a fine for his less-than-diplomatically expressed Twitter critique of Sky pundit Nick Knight’s commentary. The timing of all this, culminating in the retirement announcement, is interesting, and perhaps not insignificant. Pietersen has for a long time given the impression that ODIs are his least favourite format, and England will be playing 13 of them this year. Plainly something came to a head at some point. Whether the Twitter fine was a reaction designed to put him in his place – and an over-the-top reaction it was at that – for the audacity of daring to ask whether he could have some time off, or of picking and choosing, as the ECB would doubtless prefer to see it, is anyone’s guess. One could easily dismiss this as a conspiracy theory. But where Pietersen is concerned, it seems conflict is never far away, and if Mooresgate was anything to go by, more details may yet emerge. While the timing is puzzling, given Pietersen’s spectacular return to limited-overs form lately, it’s hard to escape the feeling there’s more to come from this. The reaction to Pietersen’s announcement has been interesting, and in many cases predictable. When it comes to his batting, few players put bums on seats quite like he does – and no one divides opinion quite like he does. But it doesn’t seem to have taken very much to bring some of the old prejudices back to the surface with knee-jerk rapidity. Mercenary, show pony, traitor. Selfish. Not a team man. Disruptive. Not English enough. If you’ve heard them all before you can bet they’ll all have been given another airing in the light of yesterday’s news. Michael Vaughan’s article in the Telegraph echoes the sentiments of more than a few when he says “my gut reaction was he should never play again and kick him out of the team”. This is a quite ridiculous statement, given Pietersen’s undoubted value to the England setup – something which Hugh Morris, when he said he was “disappointed” at Pietersen’s decision, makes clear enough. It’s been pointed out that Pietersen would have known what he was agreeing to in terms of his central contract when he signed it. This is true. But given the fact that in most other walks of life, contracts and conditions of employment can be renegotiated due to life changes such as family, illness, or other unforeseen circumstances, one wonders why the same cannot apply to sport. The notion that anyone who plays for a national team should constitute a pliant, forelock-tugging workforce grateful simply to represent their country is outmoded and needs to change, and that can come only come through compromise, discussion and negotiation. Professionals stopped walking onto cricket fields through a separate gate years ago – flexibility needs to be a two-way street. It’s time cricket boards accepted the reality of today’s economic climate and faced the fact that sportsmen will occasionally make decisions based on something other than what is best for Team England. And this is where we touch on what is really riling some commentators – the idea that Pietersen has made this decision to free himself up for lucrative T20 tournaments, such as Australia’s Big Bash league which takes place in January, during which England will be playing ODIs in India. To brazenly admit one’s intention to chase after filthy lucre is frowned upon; to not admit it, it seems, constitutes an even greater sin, that of avarice compounded by deviousness. We need to stop collectively clutching our pearls every time a player makes a decision that may partly be influenced by the financial. As Michael Holding has said, you cannot take national pride to the supermarket, and it’s not going to put food on your table. T20, with its frequently-reviled technique-ruining hit-and-giggle slogathons, its cheerleaders and its vacuous commentary, its big bucks and its naked commercialism, may not be to everyone’s taste. But it isn’t going away in the foreseeable future and cricket boards need to accept that, not bury their heads in the sand hoping it goes away, and scheduling series that force players into making a decision as to who to play for. Given all of this, it is especially ironic that the Pietersen announcement should come at a time when all the talk lately has been of the impact of the IPL on West Indies cricket, of player attitudes, and the WICB’s inflexible and dictatorial response. And look how well that approach has worked. Paul Collingwood is “very disappointed” at being stripped of the Twenty20 captaincy. Stuart Broad, his replacement, has said, “It’s a huge privilege to be named England Twenty20 captain and form part of a leadership team that I’ve no doubt will work well together with a great deal of synergy,” craftily using management-speak pablum to repeat himself in the same sentence. Alastair Cook, England’s new ODI captain, looked like a Chinese water deer in the sights of one of his own shotguns as he proffered some flannel about how his one-day form for Essex has improved even though he hasn’t been a part of England’s one-day side “for a while” – not since March 2010, to be exact. One can understand Andrew Strauss relinquishing the One Day captaincy and retiring from this form of the game. He, along with Andy Flower, have been the prime movers in England’s recent Ashes success but both men have recognized the need to pace themselves. There is the suggestion that Flower, in extending his coaching contract with England, will be able to sit out selected tours, and Strauss, who will be 38 at the time of the next World Cup, understandably wishes to concentrate on Test cricket and the captaincy job he has performed so admirably. The message today’s split-captaincy announcements seem to send out is that, with the Test team settled, the 2015 World Cup is now the next item on England’s agenda. The only problem is, neither of these captaincy appointments is ideal and smack of a makeshift approach because of a lack of other options. Cook’s form in Test cricket is unquestioned. But for a man who has played only 3 ODIs in the last two and a half years to not only be shoehorned into the team but also given the captaincy sounds like desperation. It suggests that since Cook is Test captain-in-waiting he was the only option. He may very well turn out to be effective in the opening position Strauss has now vacated – I doubt he will perform any worse than Matt Prior did – but leading the team to victory in one series against Bangladesh hardly suggests a CV with any great depth in the captaincy department. I have bigger problems with Stuart Broad as England’s new Twenty20 captain. Cook may have captained England in five matches already; Broad does not even have that. At the start of today’s press conference, England managing director Hugh Morris referred to Broad’s “leadership credentials”. What those are, exactly, remains unexplained. Broad, while being of undeniable value to an England team in terms of his bowling, will hardly be of much use to his country if he is watching from the sidelines because he has clashed heads with officialdom. Broad, while earning plaudits for his bowling and batting in the series against Pakistan last year, won himself rather fewer fans with his on-field behaviour, and there were many, myself included, who believed the penalty levied against him for petulantly hurling the ball at Zulqarnain Haider should have been considerably stiffer. Broad says he has “learned from that” and wants to “set a good example and play the game in the right way,” but I am yet to be convinced. I’m always wary when it comes to setting up sportsmen as paragons of what examples to the young should be, but it’s the idea that the England management have confused petulance with competitiveness – and worse, leadership potential – that worries me. Personally, I’d like to have seen Kevin Pietersen given another shot at captaincy – in either format – but despite what KP might say regarding being in large part responsible for England’s renaissance after the removal of Peter Moores (and I’d be inclined to agree with him), the fact that Andy Flower was also in his sights no doubt remains a black mark against him. So now, England will take on this summer’s visitors Sri Lanka and India with two inexperienced captains, a new ODI opening partnership and a bowler-captain who is rightly praised for his ability to take wickets but not for his maturity or anything that would suggest statesmanship or tactical nous. This has been brought about because the England management have decided there are no other options: hardly a ringing endorsement for the two new incumbents. Andy Flower has admitted the appointment of three captains is a gamble – “over the next few years we will see if that works or not,” and referred to it as “the most effective use of our resources”.